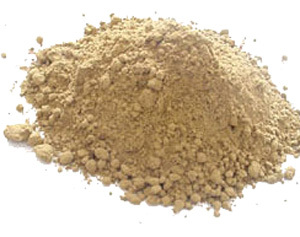 Calcium Bentonite clay is the natural detoxing agent that can be used internally, externally with poultices and full body applications, and by taking detox clay baths. These are highly beneficial methods for detoxification, especially for cases of heavy metal poisoning and radiation buildup. 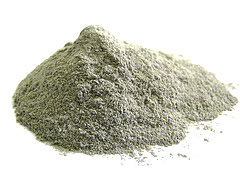 So consider releasing the toxic burden of the body inside and out with a safe and effective Calcium Bentonite Clay detoxification program. Introducing Fibre Harmony™ - a revolutionary certified organic tri-active blend. 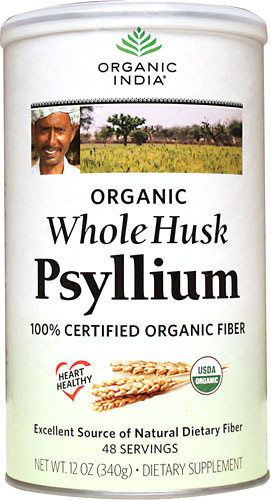 ORGANIC INDIA Whole Husk Psyllium is a certified organic daily fibre diet formula. This unique fibre supplement combines psyllium with inulin, aloe vera leaf, and marshmallow root to ease and regulate elimination, vitalize and soothe the digestive tract, restore a healthy probiotic environment in the colon, and provide heart-healthy* soluble fibre. Fibre is essential for a healthy body. In fact, most adults require 32 grams of fibre each day to maintain digestive health, regularity, a healthy weight, and most importantly, a healthy heart! This lack of fibre in diet may contribute to the rising rates of heart disease, obesity, and digestive problems . Taking a fibre supplement each day is the easy way to ensure you are getting all you need to maintain your health. The only drawback? Unlike your fruits, vegetables and grains, fibre supplements are not certified organic...Until now! If your goal is to soothe your digestive system, and support your heart then it's essential to start with the cleanest, organic herbs! 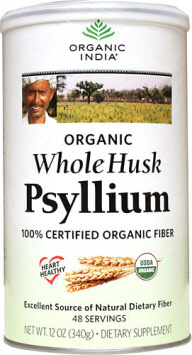 Our psyllium is USDA certified organic. This means that from the time the seeds are planted until the moment you purchase the final product, you have the assurance that our psyllium is grown without pesticides, herbicides or chemical fertilizers, contains no additives or sweeteners and is of the highest quality available. In whole husk form, derived from the seeds of the herb Plantago ovata, psyllium husks are a rich source of soluble fibre. 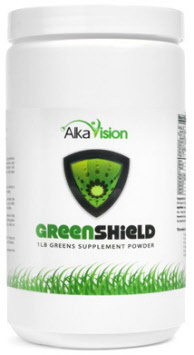 They naturally promote healthy elimination and regularity while supporting the gastrointestinal system. Heart Healthy! 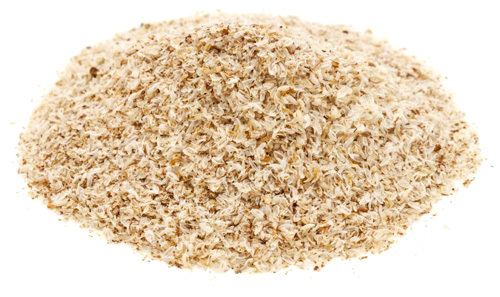 Psyllium has also proven to be quite substantial in the lowering of both total cholesterol and LDL cholesterol level.